"We have been fortunate to work with Sovereign Construction on several projects. 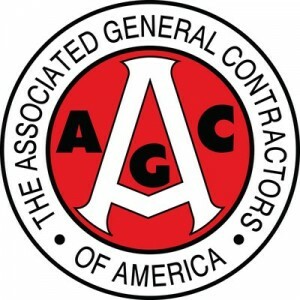 They have always been demanding in making sure the customer receives a quality product and making sure their contractors are treated fairly. We look forward to partnering with them on many more projects in the future." "We have had the pleasure to work with Sovereign Construction as a partner on a number of projects. Their team has always conducted themselves in the most professional manner, and we welcome the chance to work with them again. As one of our critical partners, Sovereign Construction has never let us down." We strive to deliver front end solutions that lead to targeted action and tangible results. By embracing technology, diversity, and collaboration, our team offers customized options that meet the unique needs of every client. A deep and diverse pool of construction industry knowledge allows the Sovereign team to respond to project challenges in a manner that limits undesirable impacts and execution outcomes. While various construction projects may share certain elements in common, we follow a project-based methodology to deliver tailor-made solutions. Each project is analyzed from an objective perspective, which ensures the unique goals of the project are respected. Each project is analyzed utilizing the Sovereign Project Delivery Process, which ensures the unique specifications and goals of the project are captured and successfully executed. At Sovereign, every project is important and every client is valuable. We don't worry about the next project in the pipeline, we focus on delivering quality and value to everything we build today. If we build it right today, we will be granted the privilege of building and creating tomorrow. Contact us today to learn more about our innovative approach to general contracting and construction management. We believe in utilizing collaboration and straight-forward simplicity in order to provide customized guidance for your next project.